Art-C: Raja Ravi Verma.....a genius from whose work emnated the fragrance of its characters!!! Raja Ravi Verma.....a genius from whose work emnated the fragrance of its characters!!! 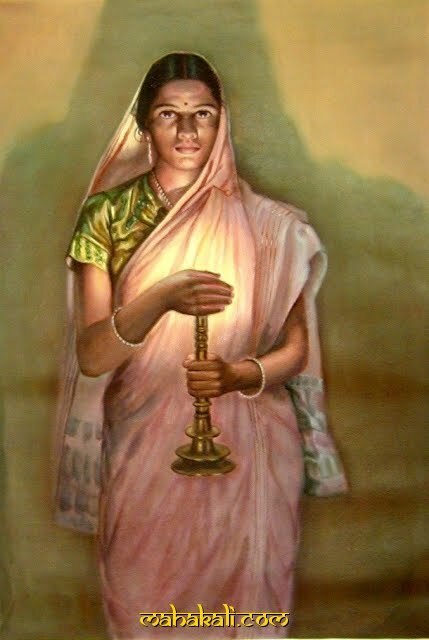 The painting, ‘ Lady with the lamp’ is one that has been seen & reproduced innumerable times. It can be found in many homes, places & stores all over India & the haunting nature of the painting brings into sharp focus the mastery & genius of the painter, Raja Ravi Verma who is an inspiration for a whole generation of Indian artists. It feels proud to note that the artist, Ravi Verma (1848 – 1906) was born in our very own Kerala, India in a family of scholars & poets. His talent was noticed at a very young age by his uncle who initiated him into the arts. 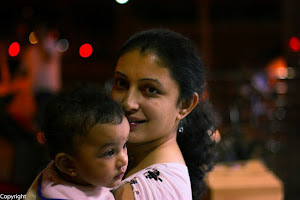 He was trained at the Travancore palace in water colours & then later through trial & error learned the technique of oil painting which was very new in those days. Since he used indigenous paints made of flowers, leaves etc initially which was difficult, he found the medium of oils to be more flexible, thus using this in portraiture painting. Starting with the Tanjore style of painting, he managed to blend it with the European realism, thus creating portraits that managed to add an elegance to the personality of the subject giving them an ethereal quality. Having won the first prize at the Madras Painting exhibition in 1873, he became a world famous Indian painter after winning the Vienna exhibition in 1873. Though folk art forms were used as illustrations for religious narratives previously, he was the first one to give a human face to Hindu Gods & Goddess’s by his depiction of mythological characters through his paintings which continues in books & calendars even to this day. Another first to his credit, was the production of oleographic prints which helped in mass reproduction of his paintings done by the famous Dadasaheb Phalke of Indian Films. Although he lived for a short while, his extensive body of work will be a benchmark for generations to come & be recognized for its haunting quality & ability to capture the underlying emotions of his subjects!! !